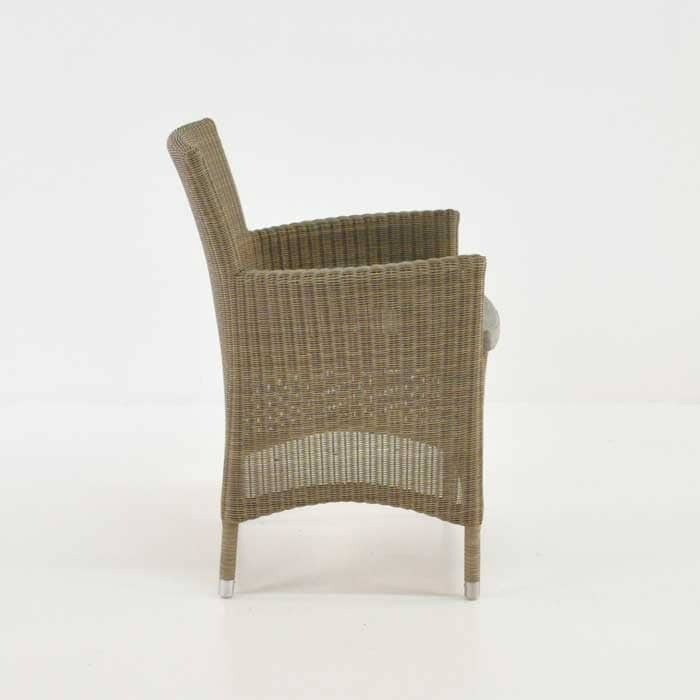 The Enna dining arm chair is new, classy and comfortable. Pair it with our trestle dining table or one of our teak extension tables for a fabulous outdoor dining look. 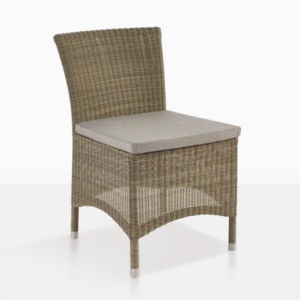 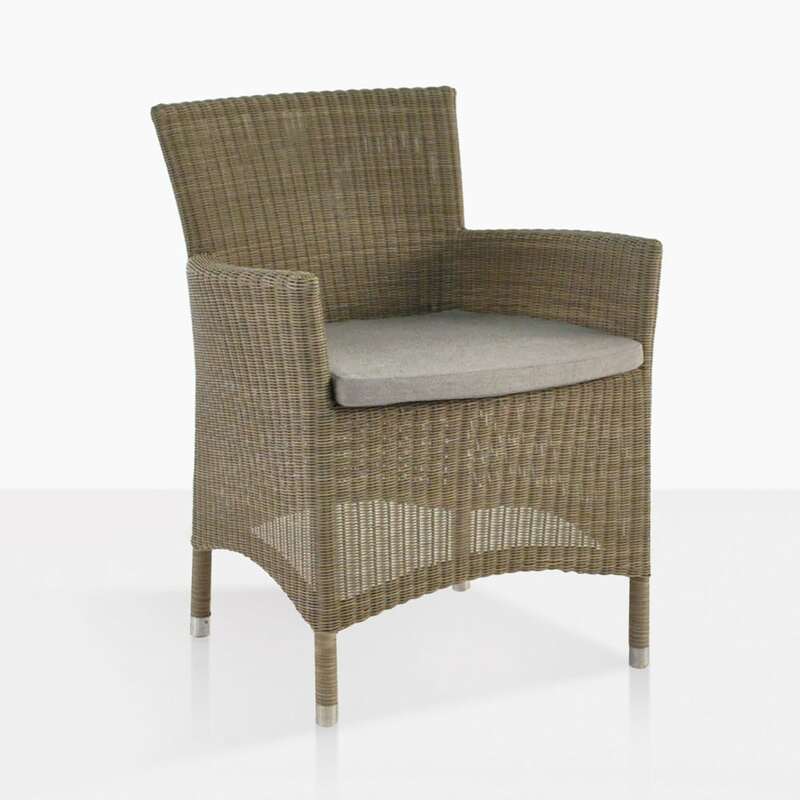 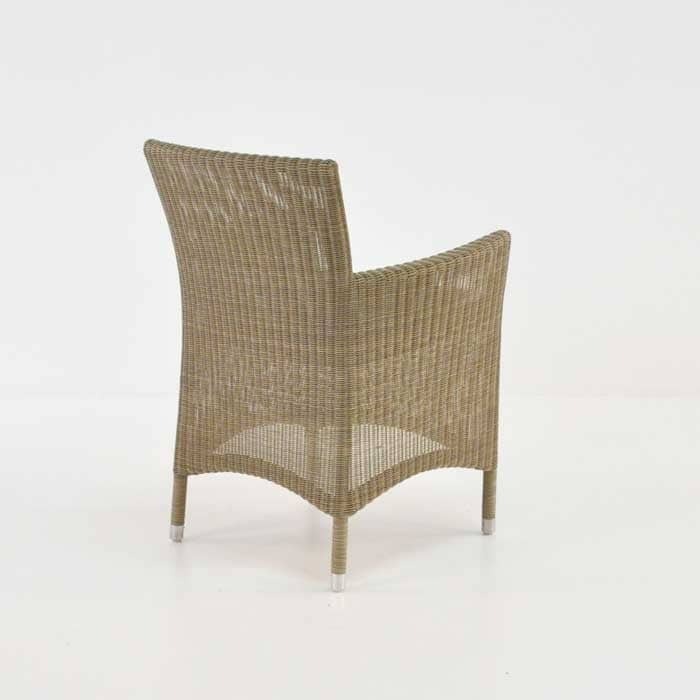 Made with Viro® outdoor wicker in fine weave, which is perfect for outdoors or inside and comes with a sunbrella cushion as shown. The Enna chair is also available as a side chair.